Most of us know about Black History Month and even Hispanic Heritage Month, but let’s not forget about Native American Heritage Month. This November celebration began in 1990, when President George H.W. Bush approved a joint declaration of Congress, as a way of recognizing those first Americans and their contribution to American culture and prosperity. The various tribes around the country celebrate the event in their own way, with feasts, ceremonial dances and storytelling. 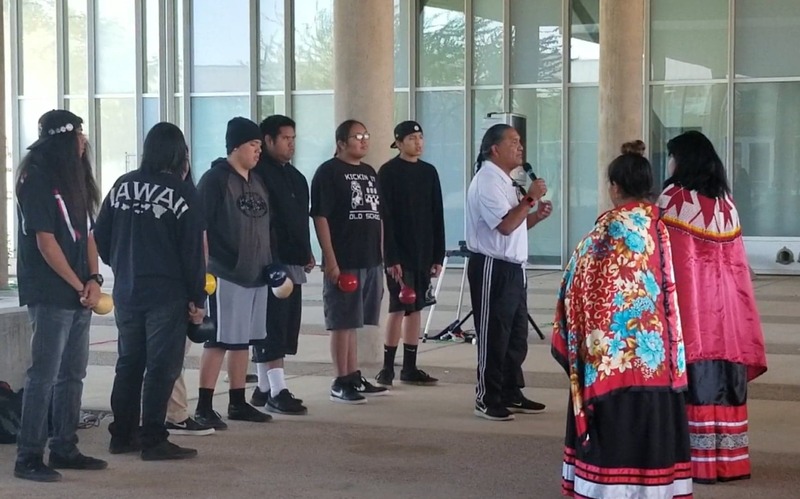 Now it is even celebrated on the campus of Arizona Western College, where a gathering of local tribes took place on Nov. 28 for the first time with the help of the new Native American Club, event coordinators Kenya Rodriguez and Angelica Diaz Deleon and the International Student Program. Student volunteers from all grade levels of the Cocopah tribe from elementary school to San Pasqual High School performed their ceremonial dances and music. Princesses representing the Quechan community also made an appearance including Miss Quechan, Teresa Valenzuela, a student at AWC. 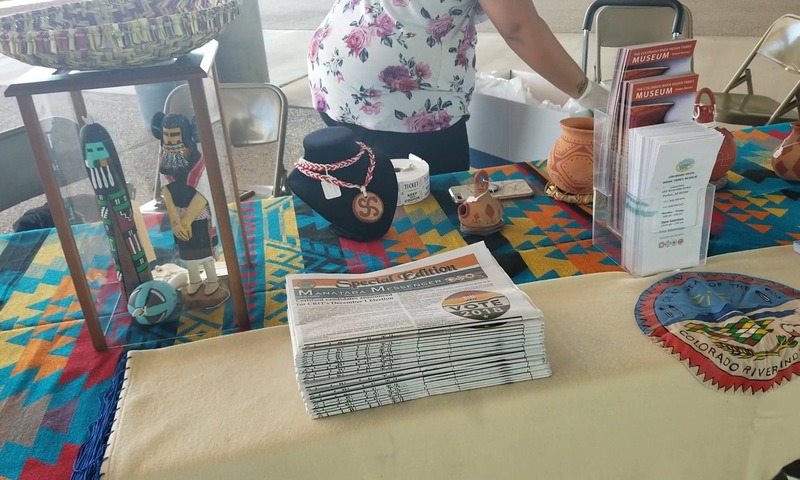 Organizations such as Cocopah museum, CRIT Museum, CRIT Library and Quechan Victims Advocate Program provided information and resources to AWC students, whether native or not. Historians like Joe Rodriguez of the Cocopah Indian Tribe Museum came by to explain the culture and traditions as well. Cultural artifacts from the Cocopah and Quechan tribe museums such as quilts and other fabrics, miniature statues and utensils helped to complete the picture of vibrant Native culture and traditions. Even the native languages were on display. “Currently we have 20 fluent speakers, which is scary because when I was younger we used to have 200,” said San Pasqual teacher Farin Owl. Owl believes that keeping one’s cultural heritage and history alive is essential, and he is concerned about the Native American traditions fading away. For that reason, he says, it is important to come together and learn from each other. Owl spoke about how their original leader kept them safe from being sent away from their land, as were other tribes such as the Apache. He added that the future of family, friends and the rest of the community are more important than anything. Some of the students in the Native community still feel unsettled amongst their peers at AWC, so this semester the club was started for the purpose of relieving their worries and making them feel at home. “This club is not only for native students but also for those interested in learning the culture and communal impact,” said Diaz De Leon, an Academic and Career advisor at AWC. The club will also serve as a way to promote cultural awareness of the Native American community, according to the first article of the club’s constitution and bylaws. The Club looks forward to future events on and off campus, designed to show the world that traditions still blossom in the Native community, no matter how small it may seem.